Picture from Joyce Images and used with permission. 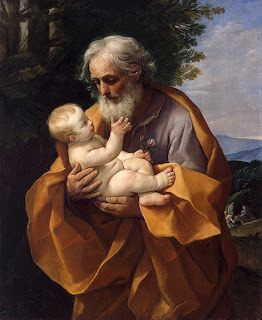 The Congregation for Divine Worship and the Discipline of the Sacraments has transferred the celebration of the Solemnity of St. Joseph to March 15, since the traditional date of observance—March 19—coincides with Wednesday of Holy Week. Do you find yourself threatening, repeating your instructions, or raising your voice in an attempt to get your children to obey? Are you frustrated because nothing seems to work? It could be that faulty child-training methods have snared your line of thinking. A quick bribe or mild threat looks appealing to a parent’s appetite for gaining control of a child, especially in a hurried situation. So, we take the bait -- hook, line, and sinker. It’s not until later that we realize we’re caught in a tangled net of ineffective parenting. 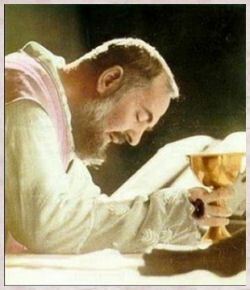 The following is from Comportment at Holy Mass and Afterwards: A Letter from St. Padre Pio to Annita Rodote Pietrelcina, July 25, 1915. "In order to avoid irreverence and imperfections in the house of God, in church - which the divine Master calls the house of prayer - I exhort you in the Lord to practice the following. - Enter the church in silence and with great respect, considering yourself unworthy to appear before the Lord's Majesty. - Amongst other pious considerations, remember that our soul is the temple of God and, as such, we must keep it pure and spotless before God and his angels. : Let us blush for having given access to the devil and his snares many times (with his enticements to the world, his pomp, his calling to the flesh) by not being able to keep our hearts pure and our bodies chaste; for having allowed our enemies to insinuate themselves into our hearts, thus desecrating the temple of God which we became through holy Baptism. - Then take holy water and make the sign of the cross carefully and slowly. - As soon as you are before God in the Blessed Sacrament, devoutly genuflect. - Once you have found your place, kneel down and render the tribute of your presence and devotion to Jesus in the Blessed Sacrament. - Confide all your needs to him along with those of others. Speak to him with filial abandonment, give free rein to your heart and give him complete freedom to work in you as he thinks best. - When assisting at Holy Mass and the sacred functions, be very composed when standing up, kneeling down, and sitting, and carry out every religious act with the greatest devotion. 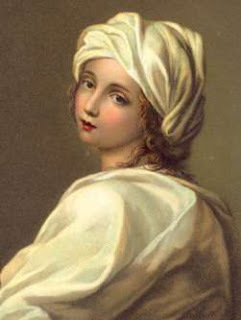 - Be modest in your glances; don't turn your head here and there to see who enters and leaves. - Don't laugh, out of reverence for this holy place and also out of respect for those who are near you. - Try not to speak to anybody, except when charity or strict necessity requests this. - If you pray with others, say the words of the prayer distinctly, observe the pauses well and never hurry. - In short, behave in such a way that all present are edified by it and, through you, are urged to glorify and love the heavenly Father. - On leaving the church, you should be recollected and calm. Firstly take your leave of Jesus in the Blessed Sacrament; ask his forgiveness for the shortcomings committed in his divine presence and do not leave him without asking for and having received his paternal blessing. - Once you are outside the church, be as every follower of the Nazarene should be. Above all, be extremely modest in everything, as this is the virtue which, more than any other, reveals the affections of the heart. : Nothing represents an object more faithfully or clearly than a mirror. In the same way, nothing more widely represents the good or bad qualities of a soul than the greater or lesser regulation of the exterior, as when one appears more or less modest. : You must be modest in speech, modest in laughter, modest in your bearing, modest in walking. All this must be practiced, not out of vanity in order to display one's self, nor out of hypocrisy in order to appear to be good to the eyes of others, but rather, for the internal virtue of modesty, which regulates the external workings of the body. - Don't be disgusting to anybody but be benevolent towards all and respectful towards your elders. - May any sinister glance be far from you, may no daring word escape your lips, may you never carry out any immodest or somewhat free action; never a rather free action or a petulant tone of voice. - In short let your whole exterior be a vivid image of the composure of your soul. : this Master who, according to the words of the Apostle to the Corinthians, placing the modesty of Jesus Christ on an equal footing with meekness, which was his one particular virtue and almost his characteristic: "Now I Paul myself beseech you, by the mildness and modesty of Christ" [Douay-Rheims, 2 Cor. 10:1], and according to such a perfect model reform all your external operations, which should be faithful reflections revealing the affections of your interior. - Never forget this divine model, Annita. - Try to see a certain lovable majesty in his presence, a certain pleasant authority in his manner of speaking, a certain pleasant dignity in walking, in contemplating, speaking, conversing; a certain sweet serenity of face. Imagine that extremely composed and sweet expression with which he drew the crowds, making them leave cities and castles, leading them to the mountains, the forests, to the solitude and deserted beaches of the sea, totally forgetting food, drink and their domestic duties. 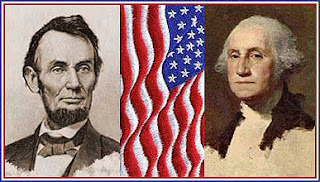 - Thus let us try to imitate, as far as we possibly can, such modest and dignified actions. And let us do our utmost to be, as far as possible, similar to him on this earth, in order that we might be more perfect and more similar to him for the whole of eternity in the heavenly Jerusalem." A beautiful music video by Steve Silvia. I hope you will enjoy it as much as I did. Last evening on Life on the Rock it was a movie discussion night. First it was an interview with the World Over's Raymond Arroyo who discussed the upcoming Academy Awards. Mr. Arroyo strongly suggested that if we, Catholic families want more wholesome movies with a message made available to us, then we had better start supporting them by going out and seeing them in the theaters. Two movies that he mentioned were Bella and Juno. BTW, Mr. Arroyo's guest tonight on the World Over is movie critic Michael Medved. Be sure to watch what I'm sure will be an interesting show. The next guest was Steve McEveety. His name may not ring a bell. 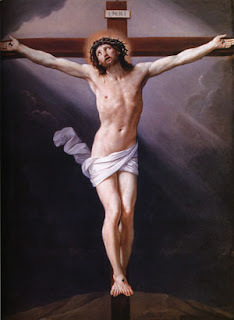 However, he was the executive producer of the Passion of the Christ the controversial movie that realistically brought our Lord's sufferings and ultimate sacrifice to the big screen. Mr. McEveety was also the producer of the aforementioned Bella. Since his conversion back to the faith (although he never fully left it) following the making of the Passion of the Christ, Mr. McEveety's new vocation is to make movies with a good message, although not necessarily religious movies. From Producer Stephen McEveety (The Passion of the Christ) comes an amazing documentary on the Star of Bethlehem. This presentation has been viewed by tens of thousands in the U.S. and in Europe and this new DVD reveals the evidence for God's existence as seen in the stars above. Presenter Rick Larson walks you through biblical and historical clues revealing the eternal significance of this celestial event as well as the vastness of God's creativity. Discover the secret of the Star...a secret of magnificent beauty. I was happy to hear that now in the works for Mr. McEveety is a movie based on Immaculee Ilibagiza's autobiography Left to Tell. 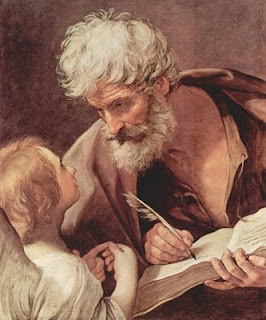 The feast of the Chair of Saint Peter commemorates the teaching authority - the Magisterium - of the Vicar of Christ who occupies the thrne of saint Peter. The Catechism teaches that "it is the Magisterium's task to preserve God's people from deviations and defections and to guarantee them the objective possibility of professing the true faith without error' so that "the People of God abides in the truth that liberated" (CCC 890). 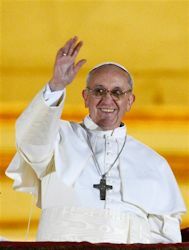 "The Chair represents (the pope's) mission as guide of the entire People of God. Celebrating the 'Chair' of Peter means attributing a strong spiritual significance to it and recognizing it as a privileged sign of the love of God the eternal Good Shepherd, who wanted to gather his whole Church and lead her on the path of salvation." 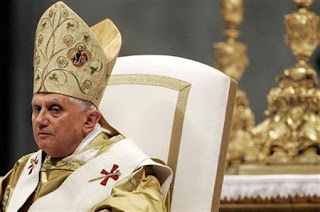 (Pope Benedict XVI). 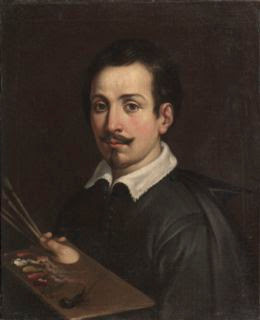 Today's artist is Guido Reni. 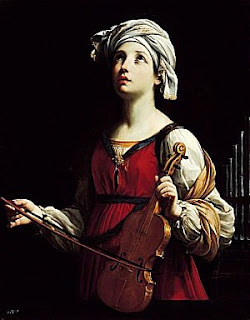 Guido Reni (November 4, 1575 – August 18, 1642) was a prominent Italian painter of high-Baroque style. Fr. Dwight has lots of interesting posts about the netherworld. I shall post the most interesting one here but make sure to visit his site. 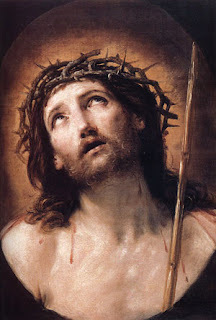 "Consider that Jesus suffered, even from the first moment of his life, and all for the love of us. During the whole of his life he had no other object in view, after the glory of God, than our salvation. He as the Son of God, had no need to suffer in order to deserve Paradise; but whatever he suffered of pain, of poverty, of ignominy, he applied it all towards meriting for us eternal salvation. 17. even after death, His side was torn with a lance. from a sorrowful mystery mediation by Fr. 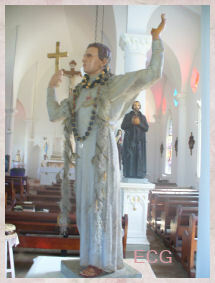 Patrick Peyton. The Crucifixion. In meditating on one of Fr. 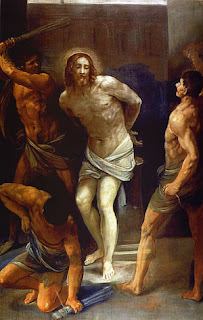 Patrick Peyton's Sorrowful mystery passages, I was struck by the thought of Jesus crying. When I think of Jesus, I think of him as a serious young man, thoughtful and wise. Yet, I'm sure our Lord had a sense of humor. Even more striking is the thought that he also wept. 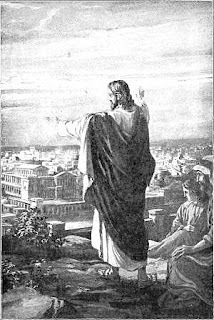 As he drew near, he saw the city and wept over it, saying, 'If this day you only knew what makes for peace--but now it is hidden from your eyes'..."
My poor Jesus, you shed your precious tears while you walked the earth and now you continue to weep for all the pains we cause you by our sins. May I in my small and meager ways try to relieve your sufferings daily by little sacrifices of self-denial. Thanks to my friend June for sharing. From "The Incredible Catholic Mass"
1. For thy salvation, God the Father sends His beloved Son down from heaven. 2. For thy salvation the Holy Spirit changes bread and wine into the true body and blood of Christ. 3. 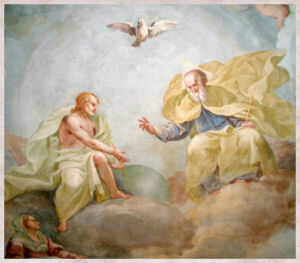 For thy sake the Son of God comes down from heaven and conceals Himself under the form of the sacred host. 4. He even abases Himself to such an extent as to be present in the minutest particle of the sacred host. 5. For thy salvation He renews the saving mystery of the incarnation. 6. For thy salvation He is born anew into the world in a mystic manner whenever holy Mass is celebrated. 7. For thy salvation He performs upon the altar the same acts of worship that He performed when on earth. 8. For thy salvation He renews His bitter passion in order that thou mayest participate in it. 9. For thy salvation He mystically renews His death, and sacrifices for Thee His precious life. 10. For thy salvation He sheds His blood in a mystic manner, and offers it up for thee to the Divine Majesty. 11. With this precious blood He sprinkles thy soul and purifies it from every stain. 12. For thee Christ offers Himself as a true burnt offering, and renders to the Godhead the supreme honor, which is its due. 13. By offering this act of worship to God thou dost make reparation for the glory, which thou hast failed to give Him. 14. For thee Christ offers Himself to God as a sacrifice of praise, thus atoning for thy omissions in praising His holy name. 15. By offering to God this oblation, which Christ offers thou givest Him greater praise than do the holy angels. 16. For thee Christ offers Himself as a perfect sacrifice of thanksgiving, making compensation for all failures on thy part to render thanks. 17. By offering to God Christ's act of thanksgiving thou dost make ample acknowledgment of all the benefits He had bestowed on thee. 18. For thee Christ offers Himself as the all-powerful victim, reconciling thee to the God Whom thou hast offended. 19. He pardons thee all thy venial sins, provided thou art firmly resolved to forsake them. 20. He also makes reparation for many of thy sins of omission, when thou didst leave undone the good thou mightest have done. 21. He removes many of the imperfections attached to thy good deeds. 22. He forgives thee the sins, unknown or forgotten, which thou hast never mentioned in confession. 23. He offers Himself as a victim to make satisfaction for a part at least of thy debts and transgressions. 24. 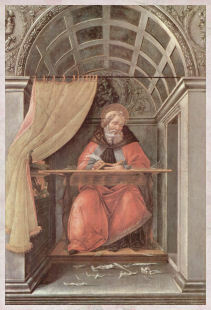 Each time thou hearest Mass thou canst do more to pay the penalty due to thy sins than by the severest work of penance. 25. Christ places to thy credit a portion of His merits, which thou mayest offer to God the Father in expiation of thy offenses. 26. For thee Christ offers Himself as the most efficacious peace offering, interceding for thee as earnestly as He interceded for His enemies on the cross. 27. His precious blood pleads for thee in words as countless as the drops, which issued from His sacred veins. 28. Each of the adorable wounds His sacred body bore is a voice calling aloud for mercy for thee. 29. For the sake of this propitiatory victim the petitions proffered during Mass will be granted far sooner than those that are proffered at other times. 30. Never canst thou pray so well as whilst present at Mass. 31. This is so because Christ unites His prayers to thine, and offers them to His heavenly Father. 32. He aquaints Him with thy needs and the dangers to which thou art exposed, and makes thy eternal salvation His particular concern. 33. 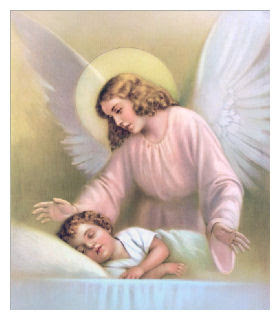 The angels also, who are present, plead for thee, and present thy poor prayers before the throne of God. 34. 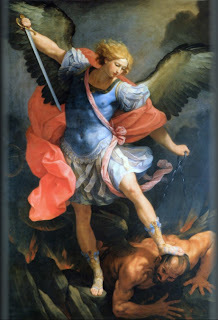 On thy behalf the priest says Mass by virtue of which the evil enemy will not be suffered to approach thee. 35. 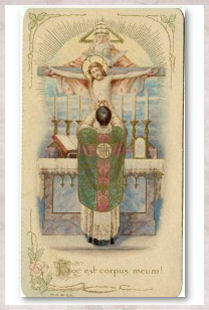 For thee and for thy everlasting salvation he says Mass, and offers that holy sacrifice to God Almighty. 36. When thou hearest Mass, thou art thyself in spirit a priest, empowered by Christ to offer the Mass both for thyself and others. 37. By offering this holy sacrifice thou dost present to the Blessed Trinity the most acceptable of all oblations. 38. Thou dost offer an oblation precious indeed, of greater value than all things in heaven and earth. 39. Thou dost offer an oblation precious indeed, for it is none other than God himself. 40. By this sacrifice thou dost honor God, as He alone is worthy to be honored. 41. By this sacrifice thou dost give infinite satisfaction to the most Holy Trinity. 42. Thou mayest present this glorious oblation as thine own gift, for Christ Himself gave it unto thee. 43. When thou hearest Mass aright, thou dost perform an act of highest worship. 44. By hearing Mass thou dost pay the most profound reverence, the most loyal homage, to the sacred humanity of Our Lord. 45. It is the best means whereby to venerate the passion of Christ, and obtain a share in its fruits. 46. 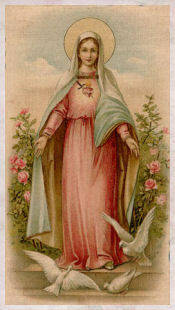 It is also the best means of venerating the Blessed Mother of God, and increasing her joy. 47. By hearing Mass thou canst give greater honor to the angels and saints than by reciting many prayers. 48. By hearing Mass devoutly thou canst also enrich thy soul more than by aught else in the world. 49. For in this act thou dost perform a good work of the highest value. 50. It is a signal exercise of pure faith, which will receive a great reward. 51. When thou dost bow down before the sacred host and the sacred chalice, thou dost perform a supreme act of adoration. 52. For each time thou dost gaze reverently upon the sacred host thou wilt receive recompense from heaven. 53. Each time thou dost smite thy breast with compunction some of thy sins are remitted to thee. 54. If thou hearest Mass in a state of mortal sin, God offers thee the grace of conversion. 55. If thou hearest Mass in a state of grace, God gives thee an augmentation of grace. 56. 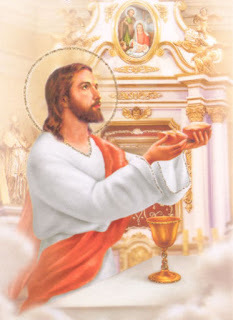 In holy Mass thou dost spiritually eat the flesh of Christ, and drink His blood. 57. 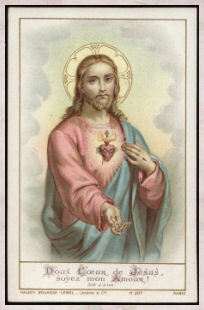 Thou art privileged to behold with thine eyes Christ hidden under the sacramental veil, and to be beheld by Him. 58. 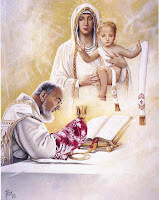 Thou dost receive the priest's benediction, which is confirmed by Christ in heaven. 59. Through thy diligence in hearing Mass thou wilt also obtain corporal and temporal blessings. 60. Furthermore, thou wilt be preserved from many misfortunes that would otherwise befall thee. 61. Thou wilt also be strengthened against temptations which would otherwise have vanquished thee. 62. 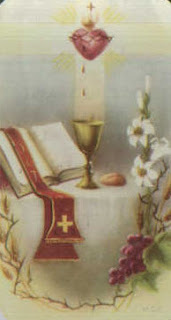 Holy Mass will also be to thee a means of obtaining the grace of a holy death. 63. The love thou hast shown for Holy Mass wilt secure for thee the special succor of angels and saints in thy last moments. 64. The remembrance of the Masses heard in thy lifetime will be a sweet solace to thee in the hour of death, and inspire thee with confidence in the divine mercy. 65. They will not be forgotten when thou dost stand before the strict Judge and will incline Him to show thee favor. 66. Thou needest not fear a long and terrible purgatory if thou hast already to a great extent atoned for thy sins by frequently assisting at Holy Mass. 67. One Mass devoutly heard will do more to mitigate the pains of purgatory than any act of penance, however difficult of performance. 68. One Mass in thy lifetime will be of greater service to thee than many said for thee after death. 69. Thou wilt attain a high place in heaven, which will be thine to all eternity. 70. 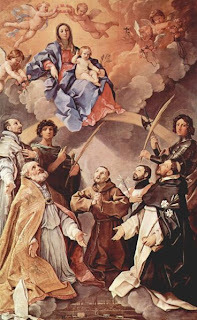 Thy felicity in Heaven will, moreover, be increased by every Mass thou hearest on earth. 71. No prayers offered for thy friends will be as efficacious as a single Mass heard and offered on their behalf. 72. Thou canst amply recompense all thy benefactors by hearing Mass for their intention. 73. 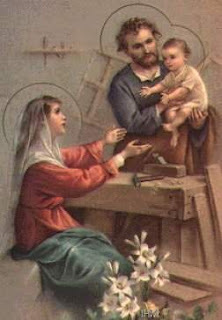 The best help, the greatest consolation, thou canst afford the afflicted, the sick, the dying, is to hear Mass for them. 74. By this same means thou canst even obtain for sinners the grace of conversion. 75. Thou canst also earn for all faithful Christians saving and salutary graces. 76. For the suffering souls in purgatory thou canst procure abundant refreshment. 77. And if it is not within thy power to have Mass said for thy departed friends thou canst by devout assistance at the holy sacrifice release them from the tormenting flames. 10. Laugh every day - it's like inner jogging. 16. We do not remember days but moments. Life moves too fast so enjoy your precious moments. 20. Be more concerned with your character than your reputation. Your character is what you really are, while your reputation is merely what others think you are. No matter the storm, when you are with God, there's always a rainbow waiting. Leave gentle fingerprints on the soul of another for the angels to read I don't want to get to the end of my life and find that I lived just the length of it. I want to have lived the width of it as well. BTW, someone here (the Marianists in Hawaii) thought it a good idea to bring Sr. Joan Chittister here for a workshop in April. Apparently, they aren't aware that she is a dissenter to Church teaching. At least the Catholic homeschoolers have been warned... who in turn have alerted the Diocese. 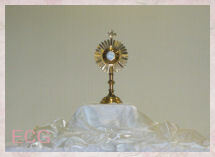 "Jesus is with us always in the Blessed Sacrament. Let us make sure that we recognize Him and love Him before it is too late. Daily say the Rosary and if possible attend daily Mass and receive Christ in Holy Communion." Watch over my family, dear Lord. Help us live in peace and harmony. Grant us the grace to accept each other's faults and encourage each other's strengths. Protect us from harsh words and hurt feelings. Guide us to mutual understanding and support. Bless us with good health and happiness. Give us hearts full of love, patience and compassion for one another, now and always. Amen. From the Treasure of Prayers from the National Shrine of St. Elizabeth Ann Seton. Alexandra of Happy Hearts at Home has the info. From a book by Fr. Robert Fox who took the Ten Commandments, and showing us what sins go with each commandment & why. I. I, the Lord, am your God. You shall not have other gods besides Me. 1. 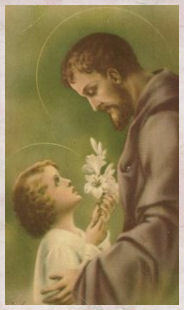 Remembered to love and adore God each day? 2. Prayed my morning prayers, evening prayers and other prayers of the day with attention and devotion? 4. Prayed for the suffering souls in Purgatory? 5. 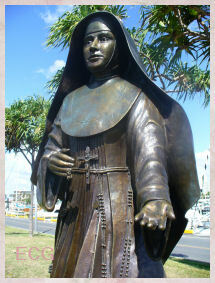 Been devoted to the Blessed Virgin Mary, the angels and saints and tried to honor them? 6. Observed Friday as a day of penance? 7. Tried to bring others closer to Jesus by my words and example? For the rest of the 10 Commandments, please visit Sue's blog. Thanks to my friend Melissa for sharing this. 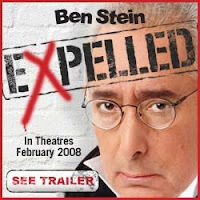 Ben Stein, noted presidential speech writer, activist, game show host and actor (remember "Bueller...Bueller..."), has a new movie out exposing what goes on in places of higher education when professors try to discuss, teach, talk about...something other than Darwinism, and what he uncovers isn't good. 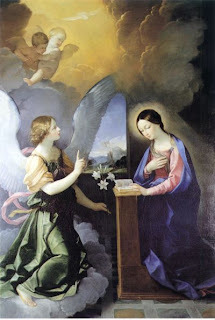 As a Catholic who reveres the Holy Mass, be it Novus Ordo Mass or the TLM, I was happy to find that Margaret Mary posted about it on her blog late last night. My goodness! Imagine, substituting praying the Holy Rosary for the Sacrifice of the Mass...the Sacrifice at Calvary!!. The imagery of the Holy Mass being celebrated in a dark dungeon reminds me of how Vietnamese Cardinal Francis Xavier Nguyen Van Thuan was forced to celebrate Holy Mass. He was imprisoned by the Communists. He would celebrate with a tiny piece of bread and a drop of wine on the palm of his hand. 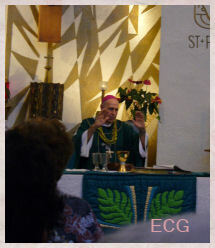 That was the way he celebrated the Holy Sacrifice of the Mass...on the palm of his hand. I can't imagine that being considered invalid or worse, evil. 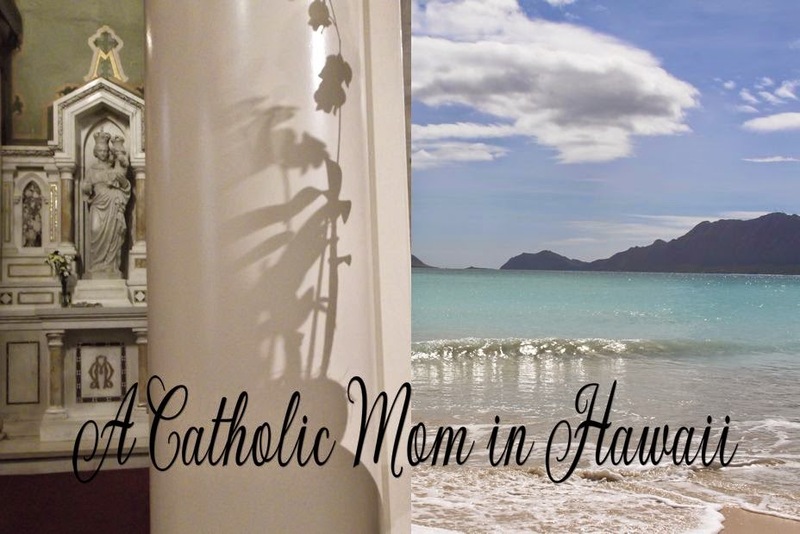 There are some places where the Mass is not readily available for people to attend. We should be grateful to our priests for every Mass they celebrate.